We believe that safety is paramount in youth sports and place the highest emphasis on this with our program and all coaches. For this reason, there are several requirements of our coaching staff, in order to be allowed to work with our young athletes. CPR and First Aid – each team is required to have at least one individual with CPR/First Aid certifications. Heads Up Concussion Safety Test - all coaches and assistant coaches are required to complete the Heads Up Concussion Safety test each year. 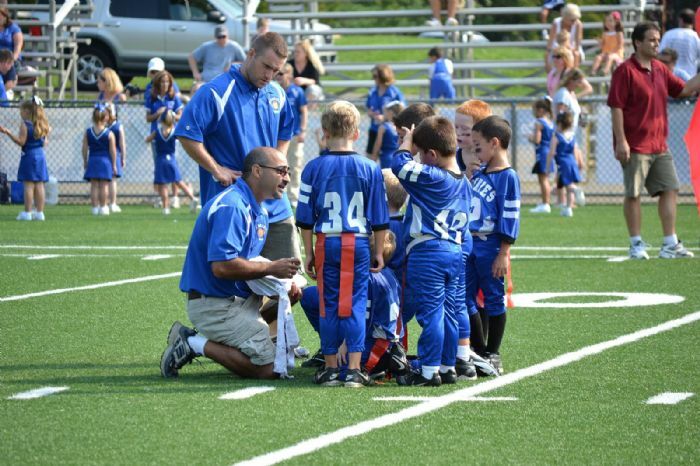 Volunteer applications – all coaches and assistant coaches are required to submit a volunteer application each year, which is used for a background check. IdentoGO Fingerprinting - required by High Bridge Borough Police Department of all coaches and commissioners. Fingerprinting, once performed, is good for two (2) years. All coaches and commissioners who were fingerprinted in 2016 do not need to be re-fingerprinted this year. All new coaches and commissioners and those fingerprinted in 2015 MUST be fingerprinted this year. IdentoGO centers are available in several locations, the closest being in Annandale. Locations and appointments are available via https://www.identogo.com/services/live-scan-fingerprinting.